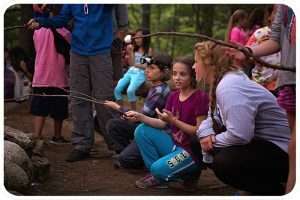 The American Camp Association, or ACA, is an organization that accredits, educates, and supports a community of over 10,000 summer camps in the United States. Membership and accreditation are both voluntary, and go above and beyond state and local requirements for licensed summer camps. As a premier summer camp, Quinebarge is proud to be one of New Hampshire’s ACA-accredited camps. Quinebarge has been maintaining ACA Accreditation for decades. Accreditation is an elective process, in which we prove that we meet over 200 standards across eight areas of operations – Site and Food Service, Transportation, Health and Wellness, Operational Management, Human Resources, Program Design and Activities, Program Aquatics, and Program Trip and Travel. In short, accreditation is the process through which we ensure we meet industry best practices and run the best, safest, and most organized program we can. When you enroll your child at Camp Quinebarge, you’ll have peace of mind knowing we meet the highest standards for excellence in the camp industry. By continuously maintaining our ACA Accreditation, we are providing a program that reflects the most research-based and highest standards in camp operations; promoting fun and friendship in a safe environment. Quinebarge’s ACA Accreditation gives you the certainty of knowing that we are operating at a high standard, and allows us to focus on the camper experience. We take the time each year to hone our camper program, focusing on our campers having fun and building everlasting friendships. 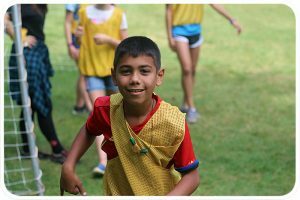 Campers have a blast all day long at their activities – swimming, boating, tubing, arts & crafts, ceramics, drama, woodshop, nature, horseback riding, sports, archery, climbing wall, low and high ropes, laser tag, hiking, and more. They explore, play, and grow with their peers, forming bonds that last well beyond their years at camp. 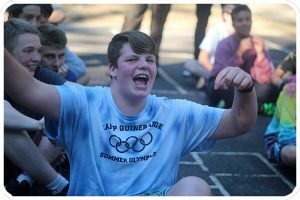 We take the time to deliver a fun program that builds friendships, confidence, independence, and life skills in our campers. Our staff take the time to know every camper, ensuring that nobody falls through the cracks. Campers leave Quinebarge at the end of the summer with memories and friendships that will last their entire lives.